Major spoilers for the season premiere of the “Twin Peaks” revival. It’s finally time. 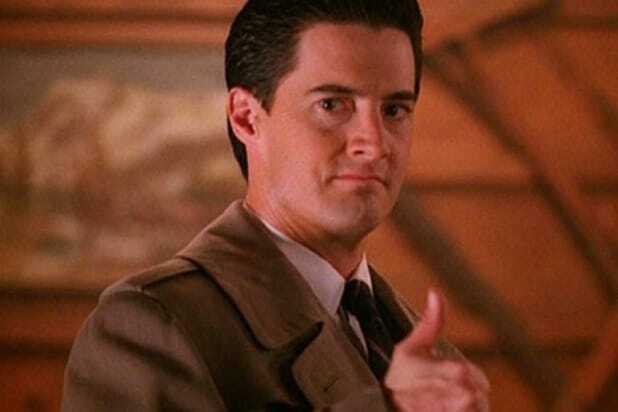 After over two decades of waiting to see the conclusion of Agent Dale Cooper and the story of Twin Peaks, fans will finally get some answers. If the first two parts are any indication, longtime viewers and theorists will learn quite a bit about the lore of the Black and White Lodges, along with seeing some conclusions to frustratingly loose ends. TheWrap got to see the first two parts of the new season of “Twin Peaks” at the Ace Theatre in Los Angeles Friday night — ahead of Sunday’s premiere on Showtime — and we already learned a lot of not only what we can expect from the 18-part season, but also about the world David Lynch and Mark Frost have built. There’s a lot to take in here (it is Lynch after all), but we broke it down, if only to help us understand what we watched. 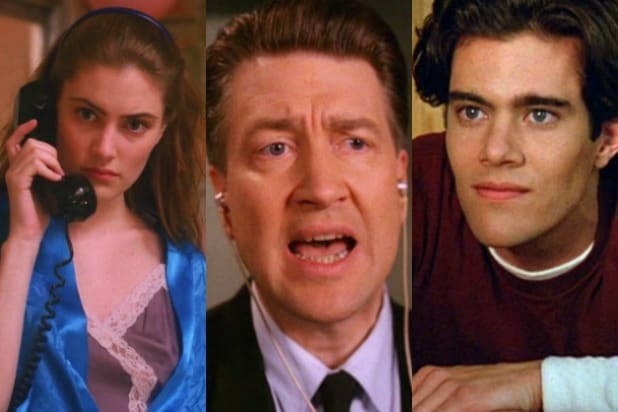 “Twin Peaks” always played around with perceptions of time, so it’s unsurprising to see that even in the first two parts, there are a lot of callbacks to the original series and the prequel film “Fire Walk With Me.” Not just references — actual scenes that are lifted straight out of the past are presented here, just with the older actors. Luckily, it doesn’t feel like Lynch is repeating himself. It’s more like he’s drawing parallels to expand on mythology and to remind you of clues he dropped decades ago. It also plays into how the show depicts the non-linear passage of time. Everything repeats itself and things that we thought were done will happen again. Many viewers predicted that Laura’s prophecy — “I’ll see you again in 25 years” — would resonate in the revival (especially because it’s been around 25 years since “Twin Peaks” was on the air). Turns out, most fans were correct. The new episode opens up with a flashback to that scene from the original series and cuts to 25 years later. As Palmer predicts, she and Cooper do meet once again in a scenario that is oddly familiar. 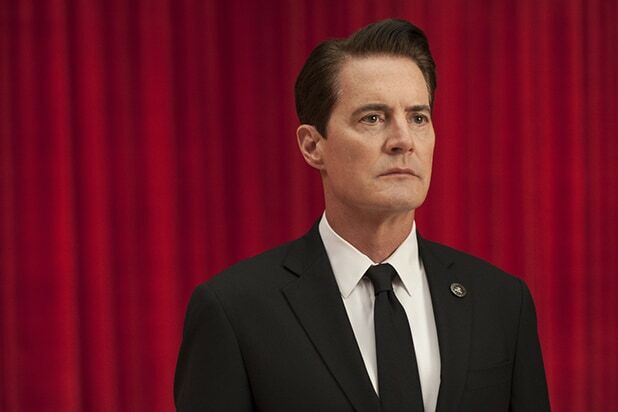 As evidenced by the final scene in the original series — where Cooper in the real world is revealed to be possessed by BOB — actual Cooper has been trapped in the Black Lodge for a long time. You’ll recall the line from “Fire Walk With Me”: “My name is Annie. I’ve been with Dale and Laura. The good Dale is in the lodge, and he can’t leave. Write it in your diary.” Now we have confirmation. We’re not sure yet what he’s been up to for this entire time, but we do know that because interactions with the Black and White Lodges tend to warp a person’s sense of time, Cooper did at one point have an interaction with Laura before she was killed (as evidenced in the prequel). At some point in the revival premiere, he makes his way back to the Red Room where he learns how he can escape. But that part’s a bit more complicated. Of course, in order to leave, his doppelgänger needs to come back. Indeed evil Cooper/BOB has been inhabiting the real world this entire time and left Twin Peaks a short time after the events of the finale. The extent of his deeds is unknown, but we know he’s been taking on odd jobs, growing his hair out — possibly to resemble his former self — and killing people, dreading the day he has to return to the Black Lodge. While we only see him during one of his jobs, it looks like he’s tracking incidents that have some connection to the White and Black Lodges, It seems, however, that he’s been making some enemies. Somebody hires two of evil Cooper’s partners to kill him. Evil Cooper doesn’t find out who put out a hit on him, but kills his partners anyway. And we know this person is rich, since they paid $500,000 to see him dead. He’s also been formulating a plan to stay out of the Black Lodge for good. But all we know so far is that it involves a round symbol. A large portion of the first part takes place in Buckhorn, South Dakota, where police discover a brutal murder. They pin the crime on a high school principal named William Hastings (Matthew Lillard), who says that he had never been to the victim’s apartment, but that he had only been there in a dream. Evil Cooper shows up and does away with some of the case’s loose ends — including Hastings’ cheating and oddly cold wife — so it’s possible the murder has something to do with the Black Lodge. We’ve traveled out of Twin Peaks before, but a sudden jump to a old skyscraper in New York City with few windows was a bit of a shock. We meet a young man who’s just staring at a glass box that sits in front of a round window (more on this later). We actually learn quite a bit from this new locale, but a key thing to notice is when Cooper falls out of the Red Room, he lands on the outside of this building and somehow floats in. We’ve suspected before that there are other portals to the Lodges besides the one in Glastonbury Grove, especially after Phillip Jeffries (David Bowie) randomly appears in the Philadelphia FBI offices during “Fire Walk With Me,” but this confirms it. Twin Peaks is a logging town and everything glows as the light bounces off all the wood. It’s a part of the show’s identity, and it still is. Lynch introduced the first two episodes at the premiere to profess his love of wood and trees. “I love trees and I love wood,” he said. “I like to cut wood.” He also gave the audience a hint of how to watch, and it’s by listening to the wind rustling through the douglas fir needles. Lynch, in all his Lynchiness, is telling you how to watch. Just pay attention, take it all in, watch for every little movement. Notice the animals on the walls and the names of the people that are thrown around (and repeated often). We write down the clues, take notes, and wonder aimlessly because this is what Lynch wants us to do. He wants us to get swept up, like needles in the wind.